Merry Christmas one and all! Thanks to everyone out there for gifting me your time throughout the year. Regardless of what religion you follow or don't, I hope everyone can embrace the positivity and warmth generated on this day. Now, with all the mushy aside, here is the Dalek Christmas tree to end all Christmas trees. Thanks Dain Sandoval! 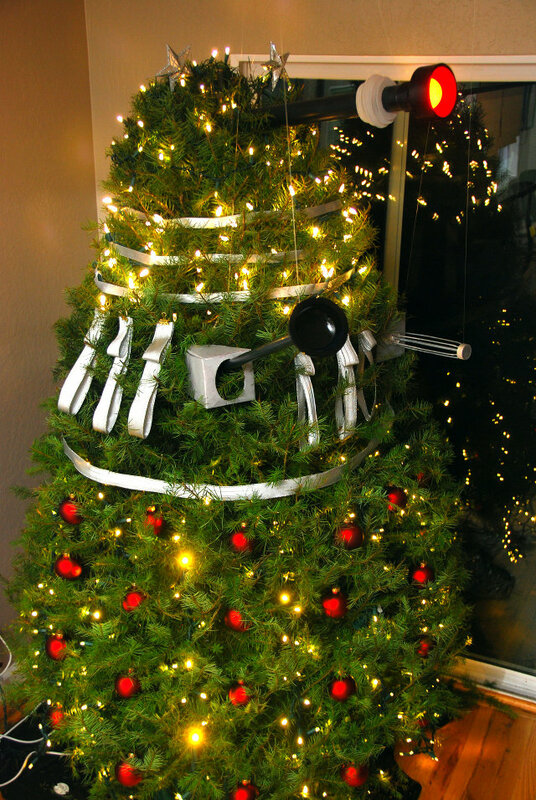 After all, nothing says 'Christmas' like having someone to blame when the roast looks 'exterminated' coming out of the oven! Thanks Kid! Merry Christmas to you and yours too! I pity the Grinch who tries to steal THAT Christmas. 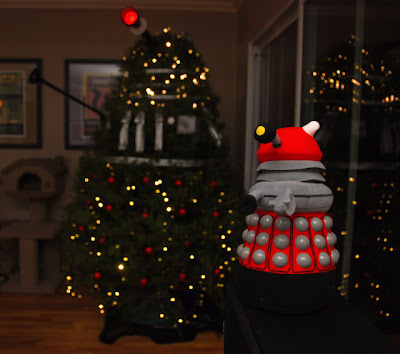 EXTERMINATE!!! Exactly Pensol! No shaking gifts under that tree the night before! I purposefully left the address off comicsfan, so revenge could never be served!